There’s no reason whatsoever to believe or accept at face value that after people leave the military, government service, or the intelligence community their subsequent actions and statements are ethical, moral, forthright, and trustworthy. After entering the private sector, they’re free to lie, scam, and hoax until they blatantly run afoul of criminal law and get caught. Of course, if anyone actually leaves the intelligence community also is an open question since security oaths apply after leaving service. What was covered up and obfuscated while on duty, must still be covered up and obfuscated after retirement. Meanwhile, TTSA and BAAS look and smell (quite strongly, in fact) just like gigantic boondoggles to me. Even for the well-heeled Bigelow, it’s very likely just about money. 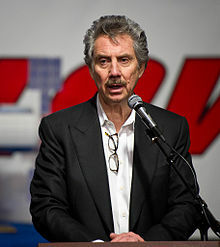 Bigelow purchased a few politicos (e.g., Harry Reid) who advocated for him so that his shell companies and fake research organizations could land government contracts. The work proposed is mostly nonsense, but in the overall federal defense and intelligence budgets, the money Bigelow bags with these is chump change so they sound no alarms in Congress. But for Bigelow, to paraphrase the late Senator Everett Dirkson, a million here, a million there, and pretty soon you're talking about real money. Bigelow has a real sweet side deal going on with these government contracts in addition to his regular business ventures, and he’s invited other snouts to the trough to make the bogus contract work seem credible (hence the former defense and intelligence community honchos). What does any of this have to do with aliens? Not a damn thing. It’s just empty PR for when questions are asked. Space-based weaponry. It is a lucrative contract for a company. But, first they would need decent cover to mask their real research. Hmmmm. Wasn't Stubblebine the one who tried to walk through walls? Yes, Paul, he sure was. Men Who Stare at Goats. Stubblebine was credited with initiating Remote Viewing - and redesigning the intel structure of the entire U.S. Army. A lot of the RV gang and resulting stories involved the same NSA base that spawned the Gulf Breeze Six. So in a manner of speaking, maybe the Six weren't as much of an anomaly (as often thought) as much as the natural evolution of things. Remote viewing is obviously nonsense. Have you investigated this issue? What were they really up to? Perhaps this was all a part of an MK Ultra type of mind control experiment. 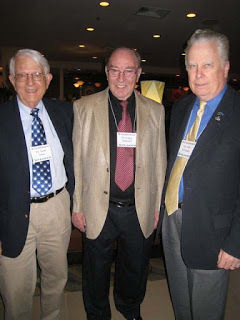 Several members of the Remote Viewing program have also expressed an interest/been involved with UFO research: John Alexander, Hal Puthoff, Christopher Green, Jacque Vallee, and Ingo Swann. Some of these individuals have also been tagged as members of William Moore's "Aviary". Ah, but who cares anymore about scientific research? Ufology seems to have embraced a new meme, the Secret Space Program whistleblower juggernaut. With all the juicy Star Trekian tales being told by whistleblowers like Michael Salla, Corey Goode, David Wilcock, Emery Smith, William Tompkins, and others of that ilk, all the dry tedious scientific research presentations are being met with yawns from the fickle base of ufology. If a tall tale fills a cozy niche in someone's psychological profile, then that story is automatically fact and truth as we know it. Ufology has embraced a juggernaut of heresay and wondrous tales from a host of new Gulliver's Travelers In Space. Much more fun than taking soil samples and making cement casts of landing depressions, doncha know. I wouldn't even begin to take any former intelligence officer seriously unless he/she became a vocal critic of US foreign policy, an anti-imperialist and peace activist. My favorite CIA whistleblower is still Philip Agee.